This year marks the 250th birthday of Toile du Jouy. Its origins can be traced to Jouy-en-Josas, France, where the first commercial plant to mass produce it started production in 1760. Visi is celebrating and together two of my hand drawn Toile du Jouy fabric designs (see the other one here) are being offered as free downloads. This design (above and below) is called ‘Darling Toile’. Inspiration for this design came from a trip I took to the small town up the West Coast of South Africa, Darling. There are many small towns scattered across South Africa that are similar and you will always spot a creaking metal gate, a bakkie parked under a flowering tree, a windmill and a rusted Mercedes parked next to a corrugated roof home with broekie lace trim around the stoep. This design is a half drop repeat which means that once you have downloaded it you can repeat it till your heart is content and if you want, fill a whole wall with the design. How a half drop repeat works is similar to what I describe as brick laying. The vertical repeat is straight forward, one under the other like tile laying. The second row (horizontal) is where the ‘brick laying’ comes in becuase you drop the design by half of the original ’tile’ and place it. You will see that the pictures become complete and so the puzzle fits together. Vertically you continue just laying then directly on top and below. Horizontally, you keep laying those bricks half way. I have created a template to show you how it works above. 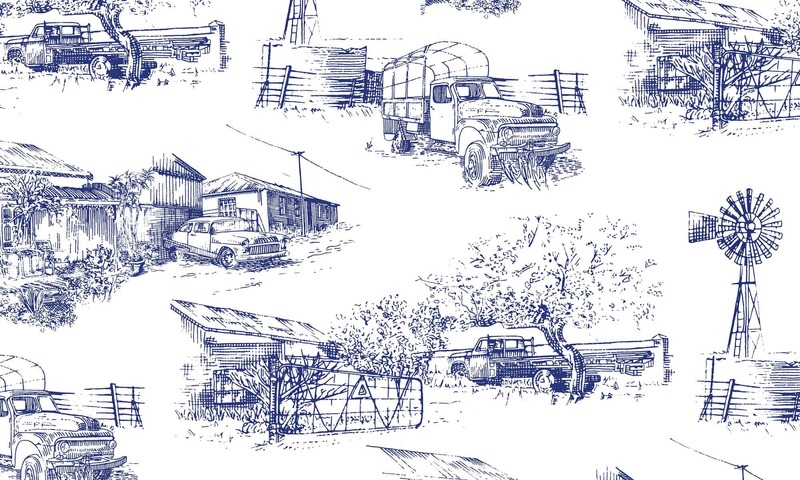 Download ‘Darling Toile’ for free on VISI.co.za by clicking here. This entry was posted in Blog and tagged 250 toile birthday, broekie lace, brokkie lace, bukkie, darling, Design, Fabric, free downloads, half drop design, half drop repeat, halfdrop, how to make a half drop, repeat design, South Africa, south african, stoep, Toile, toile de jouy, toile download, Toile du Jouy, toile du joy, toile wallpaper, toille, visi, visi.com, wallpaper, west coast. 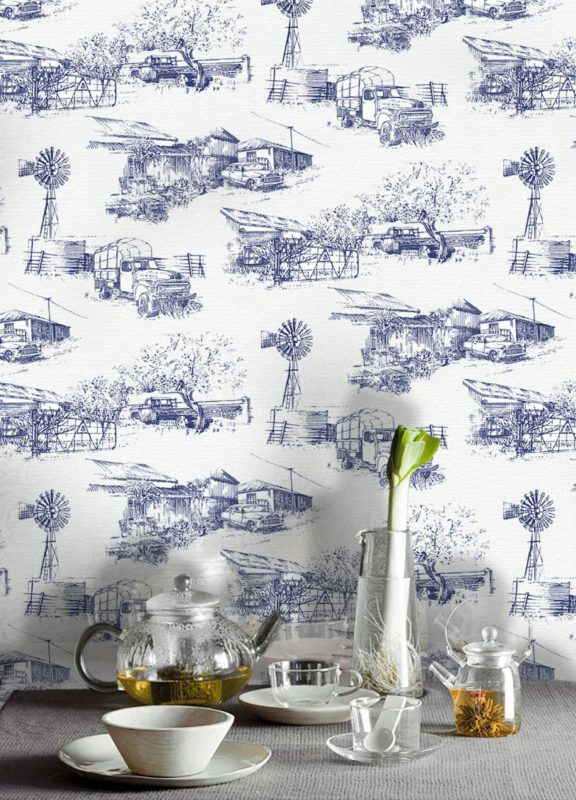 You know what, I don’t really like traditional Toile, but this Darling Toile is just amazing and the South African one not far behind! Wonderful work! It’s up on http://www.touchit-design.com today. This looks great! I really like the windmill. How nice to see such a typical French material with a South African twist!